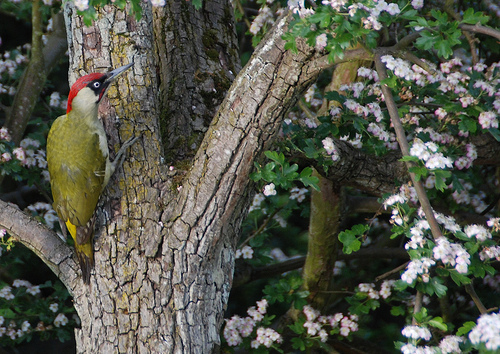 A Green Woodpecker can sometimes cause confusion, because it does not always climb up a treetrunk. 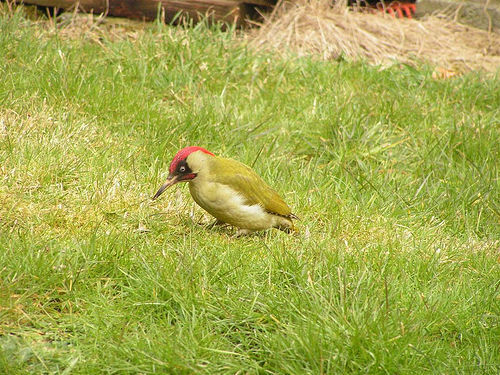 You can find the Green Woodpecker also sitting in the grass. It looks a bit like a strange green blackbird. The Green Woodpecker is much larger than the Golden Oriole. At short range, the red crown of the Green Woodpecker is easy to see.